You can add richness and dimensions to your property by using different material and plants to the outdoor place of your house. This gives a new life and strength to the house. 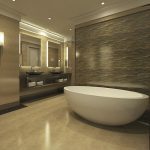 To get a beautiful and creative landscape or even a garden you should get help of professionals. Novi landscaping contractor is present to give you highly customized services to your satisfaction. They will appreciate your ideas and personal choices and work according to it. But if you are out of ideas and cannot decide, the landscaping contractor will guide you with the best features and plans to get a standout landscape. It is preferable to choose the locally based landscaping contractor, whichever is more convenient for you. They are aware of best landscape features and arrangements, suited according to the environment and weather. So they can work more easily and efficiently. Besides the plants and flowers, a variety of different features can be added to your outdoor space to make it desirable and inspiring. You should choose local plants, trees, shrubs and flowers, because they are easy to care of and they flourish well in suitable weather. There are water and fire features, which add beauty and grace to your landscape. Stones and tiles are available in large variety, to make pathways, walkaways and for decorative purposes. You can add lights in different ways to add depth .A large variety of grass, plants, flowers, shrubs and fruit trees are available to choose from. But all these above mentioned features need professional guidance and assistance to create a pleasant and dream like landscape. This is your investment and you surely want to do it properly and wisely. 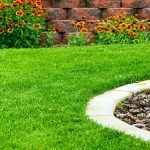 The Novi landscaping contractor has landscape installation team to help you get the landscape of your dreams. The landscaping company not only gives you the best landscapes but also helps you maintain its beauty and greenery in best condition. This will increase the functionality and safety of your landscape. After getting a dream landscape, maintenance is important to keep its beauty and vividness. 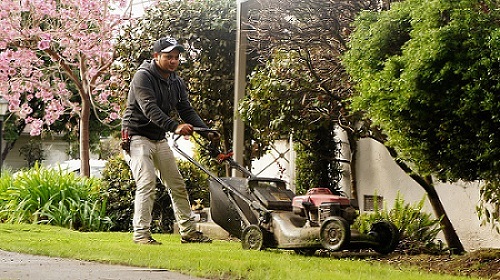 The landscape contractors do the job of mowing the grass; trim the trees, shrubs and plants. They apply seeding, fertilizer and good soil to maintain flowers and plants. Proper system of irritation and drainage of water is very important not only for the plants but also for the safety of your property. They are experts in the installation, repair and inspection of water management for the maximum and efficient working of irrigation system. Efficient and proper water management is very important for a green, healthy and luscious garden through the whole year. They can install Rainwater Harvest System .In this system the rainwater is transferred through piping to a rain harvesting tank to store water. This rainwater can be used for watering plants during dry season. Sarasota Crown Molding is a reliable crown molding company that provides a variety of styles and materials to best compliment your home. The expert horticulturists at Sarasota Tree Nursery will help you select landscape products that are specifically adapted for the gulf coast climate.